Randomocities | Second Guesses . . .
Hard to believe it’s August. 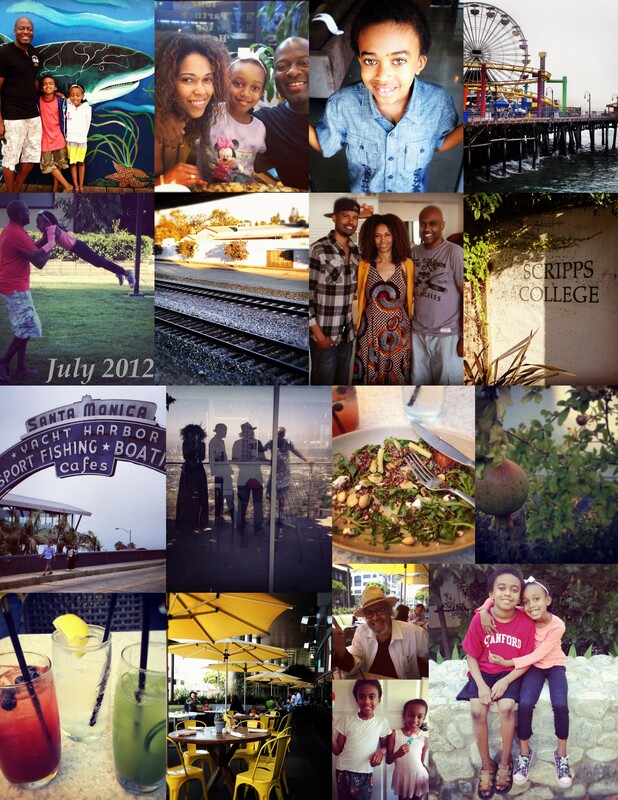 July was a whirlwind of travel and events, full of good times and lots of family. I was even able to check off a few things on my immediate goal list. And for an avid list maker like myself, that is a bonus! Last month one of my goals was to get my shop up and running. Well, I did and it is live. (yay!) But I gotta tell you, I really fought with that one. I wanted to share this with you because the internet has a way of making things look beautiful and easy. People share bits and pieces of their lives and their projects and it all looks so fabulous. The people I truly admire are the ones who share the trials that come along with it. As an entrepreneur, I’ve had my fair share of ups and downs with my business. Entrepreneurial blood runs through my body, and even with the hardships, there’s no way I can stop! I’ve tried, both willingly and unwillingly. But that doesn’t make it any easier for me. When you are the head of a small company, you are the one who has to make all of the ultimate decisions. And sometimes that can get overwhelming! Especially if you have have incurred negative consequences to some of your decisions in the past. Sometimes those experiences come back to “taunt” you. They can try to trip you up and make you unsure of your next step. I had a hard time deciding if I should wait to open my shop until the new handbag styles came in. Since you all know about the snaffu with the new designs, you know that I have been waiting a long time. During the down time I have continued to create, and blog and brainstorm and create some more. I’ve been traveling and photographing things I love and doing all those things which are natural for me. And all the while a voice inside kept telling me to “start with what you have.” “Start where you are . . .” I even wrote a post about it here. I kept getting confirmation in unexpected places. When talking to friends, somehow the topic of starting where you are would come up. While watching TV, somehow someone on the telly would mention the fact that “all you have is now, this moment. Use what you’ve got.” While reading a book, I would come across similar themes. I took it as more than a sign. I took it as a sort of law of life. I know for a fact that momentum creates momentum. So once you start, you will inevitably be lead to the next step. And since I didn’t have exactly what I wanted to have on hand, I chose to use what I did have. I received so many well wishes, encouragement and inquiries. Thank you to all of you who texted, commented on social media, and purchased goodies from the shop. It really let me know that my decision was one that was right for the moment. Your encouragement also gives me fuel to keep creating and filling up the shop with mas goodness!! I’m glad action won out over resistance, fear of failure, and all of my second guessing. In the grand scheme of things, life is about learning and growing. And as long as I am in the midst of growth, I’ll take that as a +. Is there any thing in your life you are second guessing yourself about? This entry was posted in Randomocities and tagged all you have is now, goals, thelookbookphilosophy.com, use what you've got on August 2, 2014 by thelookbookphilosophy. O Happy Day!!! New Samples Have Arrived . . .!!! This entry was posted in Accessorizing, Ayanna Listenbee Handbags, fashion, Handbag Design, Handbags, Inspiration, The Creative Process and tagged 2012-2013 season, Design, goals, milestones, revamped styles, samples on October 25, 2012 by thelookbookphilosophy. Life in Pictures . . .
And so another month comes to a close . . . Hard to believe we are so quickly approaching the month of August!! It’s amazing how fast this summer is going! Nevertheless, this has been a good summer. Last week our cousin from Chi-town came to visit. It’s been about 25 years since I last saw him . . . and that’s pretty damn amazing considering I am only 27!!! Lol. Anyway, we don’t have much family on the West coast, so it was fantastic to catch up and reminisce. July has been filled with good food, family time, fun outings and time spent with loved ones. There is nothing better. This week we gear up for our first family camping trip! We are meeting some dear friends up in Malibu for a little fun in the sun. We’re all really looking forward to it. And since I am not taking any work with me, I am posting this now, that way I know I’ve done my due diligence and completed the month on the good foot! As I look back, I can see there are a few things I am not able to cross off of my July Goals list, but I guess that’s what August is for!! 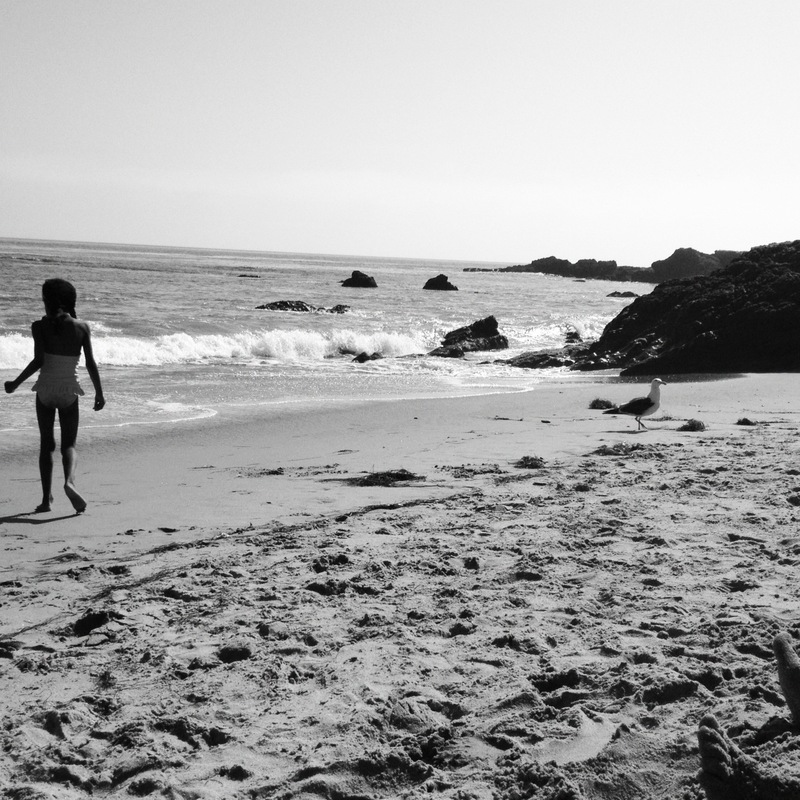 This entry was posted in Family, Life in Pictures, Photography, Summer Vacation, Travel and tagged August, camping, goals, July, Malibu, school, travel, vacation on July 31, 2012 by thelookbookphilosophy. Happy Thursday friends! It has been at least a week since my last post, but I thank you for hanging in there with me. My plate is definitely full, and so are my days. Yet, I feel so blessed with the things God is placing in my lap. Slowly and steadily the vision for my business is becoming a reality and I see myself stepping up to the challenges and turning my goals and dreams into reality. It feels great!!! . . . and somewhat scary. I guess it is just fear of the unknown, and the fact that I like to think I am in control. I am learning everyday that I actually have more control of things when I do my part to the best of my abilities and then release it. Pretty simple when you think about it. Yet hard for a perfectionist/control freak to continuously grasp! :) However, I do see myself changing into the woman I have always known was somewhere deep inside. So, today I am thankful for growth, and the recognition of it. This entry was posted in Blogging, Personal Growth, Thankful Thursdays and tagged business, challenges, dreams, goals, God, growth on April 5, 2012 by thelookbookphilosophy. This entry was posted in Duly Noted & Quoted, Faith, Inspiration and tagged dreams, goals on February 22, 2012 by thelookbookphilosophy. Dream Sharing . . . 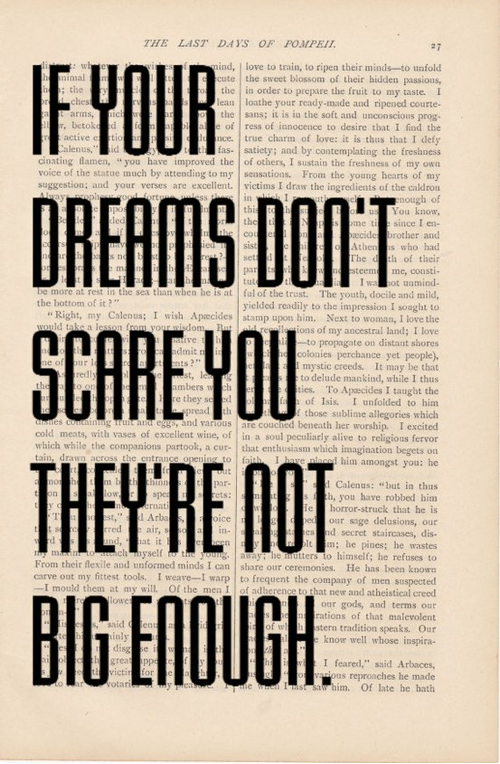 I am sharing this image because I think it is important to keep our dreams in front of us. I also think it is important, and necessary, to speak our desires into being. I came across this picture this morning, and for me, it represents what I want my corporate offices to look like. 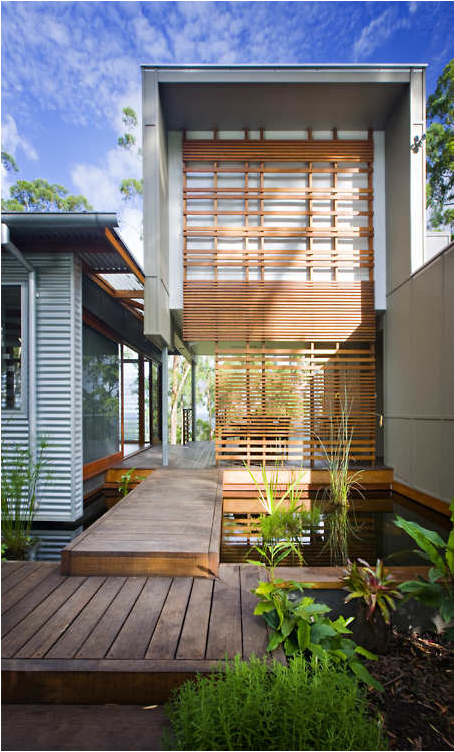 When I visualize the future of my company, I see a tranquil building, quite similar to this one. I see women, and men, coming to work, happy to be there, and ready to work together at a company who sees the value in it’s employees. I see a team of people building and working together, laughing, learning and creating beautiful things for the world to enjoy. This entry was posted in Inspiration, Randomocities and tagged Ayanna Listenbee Handbags, Dream, goals, visualization, Work on February 4, 2012 by thelookbookphilosophy. 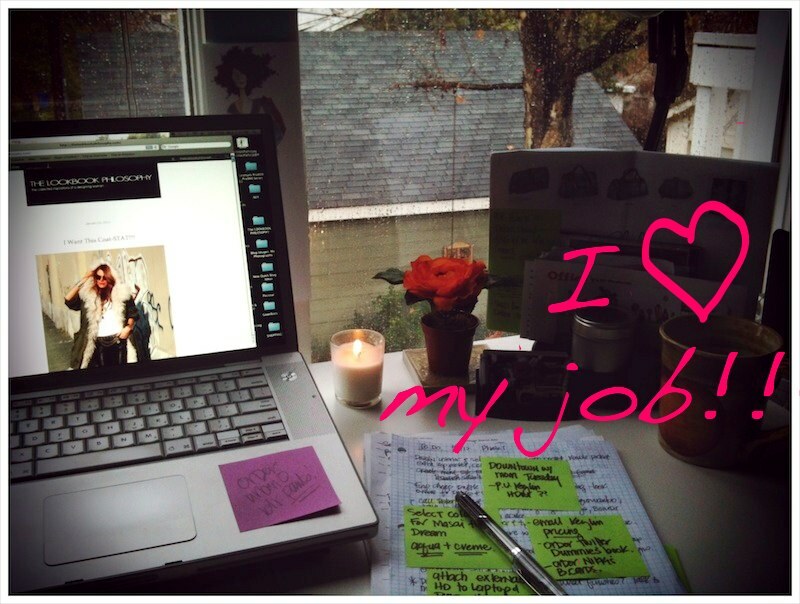 Thankful Thursdays: The Job I Love. Today is one of those days where I have about 5 different lists on my desk and 10 post-it notes on each list. Everything needs to be completed yesterday, and even though I feel slightly overwhelmed, I am doing the job I love. Each phone call, vendor inquiry, appointment scheduled, sketch approved, and item crossed off my list puts me that much closer to my dream. I am thankful for the opportunity to create my future and grow my business. This entry was posted in Thankful Thursdays and tagged dreams, goals, jobs, Thankfulness on January 26, 2012 by thelookbookphilosophy.